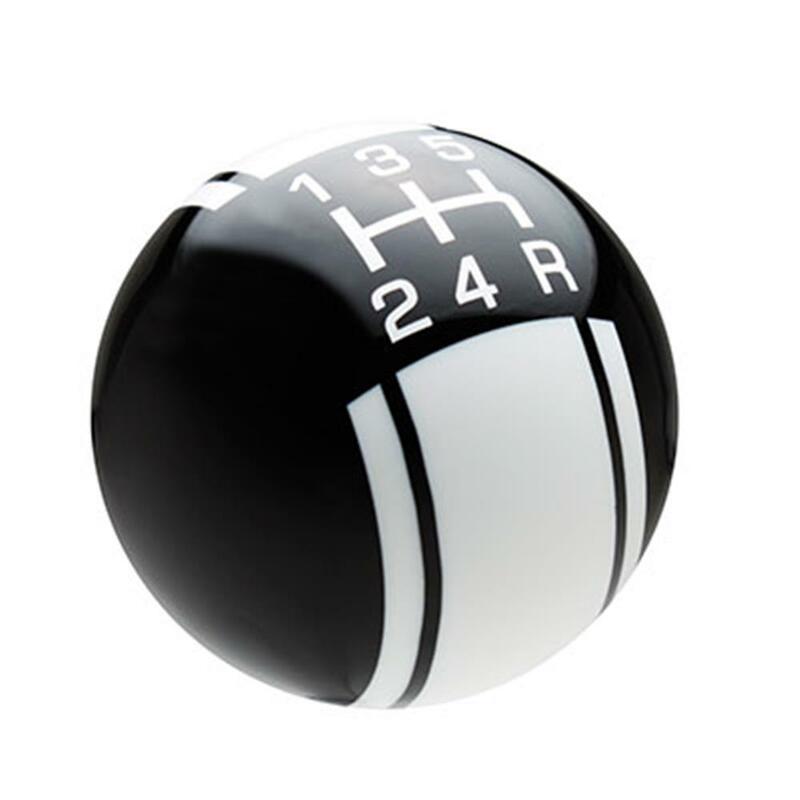 Racing Black 5 Speed Shift Knob by Speed Dawg | Speed Dawg Shift Knob | Custom Fit Shifter Knobs | California Car Cover Co.
Made in the USA to the highest performance-quality standards, Speed Dawg Shift Knobs are a unique way to make it personal. With officially licensed gearshift knobs from Ford, GM and Hurst complementing their head-turning in-house line, there is something for everyone. Shift knobs are custom fit to your vehicle's year, make, model, and thread size. Professional car builders and race teams use Speed Dawg, and these knobs have earned multiple SEMA industry awards. Need a different color or shift pattern? Give us a call at (800) 423-5525 today. What Size Thread Do I Need?? WARNING: DO NOT ALLOW SHIFT KNOB TO "BOTTOM OUT" ON SHIFTER SHAFT. THIS COULD CAUSE INTERNAL DAMAGE WHICH COULD CAUSE THE SHIFT KNOB TO RATTLE OR BREAK. ALWAYS SECURE SHIFT KNOB USING A JAM NUT OR BOOT RETAINER. 1. Determine correct Adapter and Jam Nut size. 3. Thread (silver) Jam Nut onto shifter until no more than 3/4" of threads are visible above Jam Nut. 6. Install Shift Knob onto Adapter until it becomes snug. 8. Turn Jam Nut counter-clockwise until it is tight against bottom of Adapter. WARNING: DO NOT ALLOW SHIFT KNOB TO "BOTTOM OUT" ON SHIFTER SHAFT. DAMAGE COULD RESULT WHICH IS NOT COVERED BY WARRANTY. Contact Speed Dawg LLC with any technical questions toll free 1-866-906-7801 or 1-717-741-2665. The information provided on this page is to be used as a general guide. Thread sizes may vary depending on make and model of vehicle. Please measure the threads on your shifter prior to ordering. Your local hardware store, garage or machine shop can measure your thread type.